Cathy FitzGerald explores how Prabhjot Singh, a Sikh doctor in New York, was attacked by racists – and forgave them. 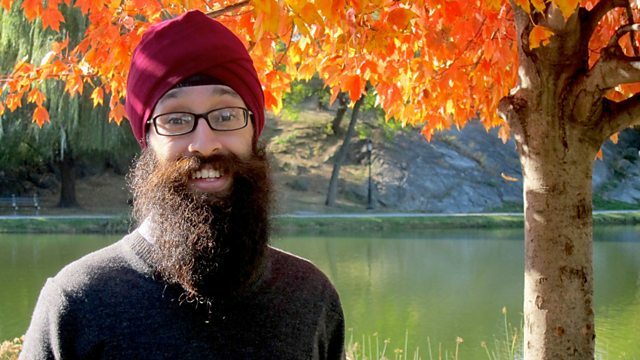 Prabhjot Singh, a doctor in East Harlem, was attacked by a mob of 25 young men in September 2013. They called him “Osama” and “terrorist,” police said. Two days later, he forgave his attackers. Singh said he’d like to educate them and invite them to worship with him. “I think to simply go out and punish those individuals who have acted out on hate crimes is insufficient,” he said. Prabhjot Singh’s calm reaction at the scene of the attack and in its aftermath seems extraordinary. But Singh argues his response is rooted in many years of Sikh devotion – and in particular the faith’s disquiet with the notion of victimhood. In this Heart and Soul, Cathy FitzGerald explores what it means to be a victim as a person and as a Sikh. If there is no victim, is there a crime? And how can justice be meted out?